International Lordland University that has been founded with the motto of 'Let's go to the Power Life! ', has been doing its best to develop the potential powers that lie dormant in its inner mind-in its subconsciousness mind, and to cultivate the talented persons who have global capacities through the small number of elites educations, and, also to cultivate the worldwide personages with them. Also, over professors and staffs, faculties have been doing their best to present the best education and the various kinds of trainings that can assist students after graduating the school. Especilly, International Lordland University is the school that has been based on the love of the humankind, and that transcends human races, nationalities. 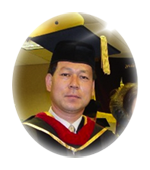 That means that International Lordland University has been teaching the students who have global capacity, with original ideas, who absorb the various kinds of cultures and cope with the worldwide changes spontaneously and solve that kinds of problems. And, also, another goal is that after educating the students, let them make a magnificent contribution to the mankind.